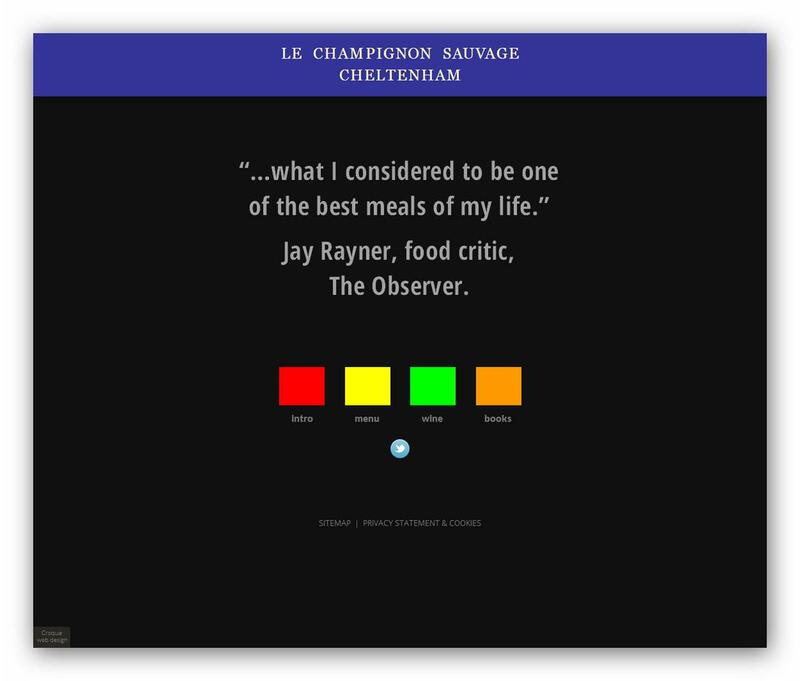 The long-serving two-star Michelin restaurant has a colourful, simple-looking site, built around html pages so non-responsive. The distinctive design came from David, the chef, and dates from 2004. We interpreted the style, and made it work on the Web. And it was one of the very first commercial sites we did. Updated a couple of years ago, staying with the style, it has a separate mobile site: m.lechampignonsauvage.co.uk/. These days, would be better as a responsive site, as having a mobile-specific site is denegrated these days. But restaurants have always got to think about costs, and it still works well, and was redesigned to show well on tablets.